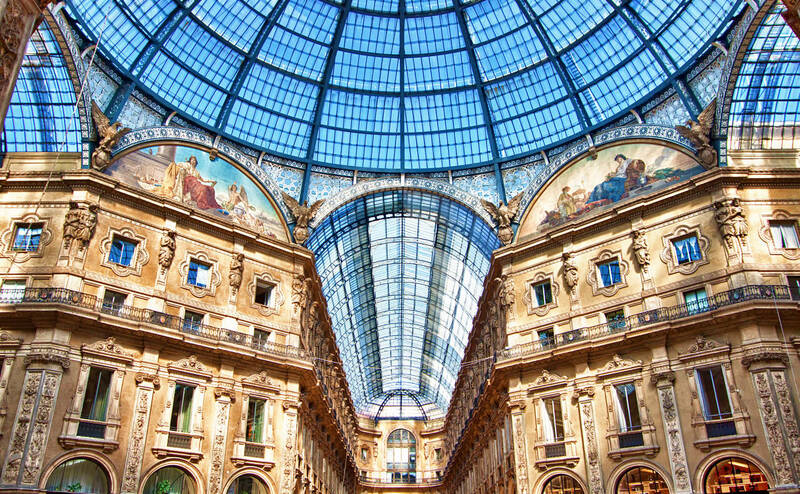 April to May and September to October are the best time to visit Milan. Spring is the time to enjoy thinner crowds, tree blossoms, and stylish events like Milan Design Week. Moderately warm but rainy autumn also has a silver bullet: a score of flea markets and Milano Film Festival! As women's fashion week takes place in September, book a room in advance. The period from June to August is about unbearable heat and throngs of tourists. But, to tell the truth, lakes Como and Garda are fabulous during this time. The weather demands packing layers and umbrellas for those visiting Milan between November and March. Don't miss Oh Bej! Oh Bej! Christmas Market in December and Ambrosian Carnival in February.